After a decade of bringing you some of the freshest and most distinctive analysis of politics in Africa, we decided it was time to freshen up and commission a website that showcased pieces from talented authors around the world. 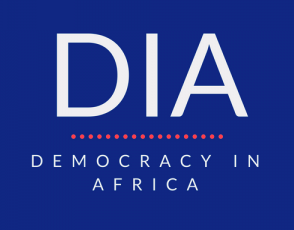 Democracy on the African continent faces a number of serious challenges, from the democratic backsliding of the last decade, through to the manipulation of new technology to win elections and monitor publics, as well as a new international political order with less to say on political rights and civil liberties. In response, we need to be fit for purpose to attract and present the evidence on these important issues and investigate what can be done. 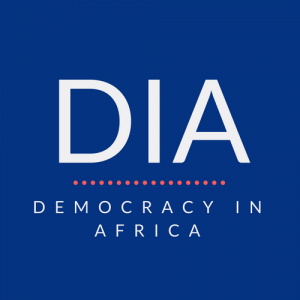 Our new website allows you to see our most popular articles at a glance, search by topic and country, and get the key facts and statistics on democracy in Africa through an interactive map. You can also subscribe to our newsletter on our home page, ensuring that you receive fortnightly updates on our most interesting and controversial coverage. As ever, all of our analysis is free and we will never put a single story behind a paywall. We also have a new editorial team. Joining Prof Nic Cheeseman, or @fromagehomme as he is better known, is Obert Hodzi, an expert on China-Africa relations. Obert will be ensuring that we have stronger coverage of international relations and Southern Africa as well as searching out the best new books and journal articles for your enjoyment. Read his latest piece, in which he casts a critical eye over the recent trips to Africa by British Prime Minister Theresa May and Melania Trump, the first lady of the United States, here. We also have guest editors, who will make sure that our pieces stay relevant and applicable to our audience of academics, students, civil society organisations and policy folks. Of course, none of us are website designers and computer scientists, so we would like to express our sincere gratitude to Angeliki Messari for all her hard work in transforming the website and turning our ideas into reality. Her skill, patience and dedication to the cause was inspiring and the new website simply would not be possible without her. We’d also like to thank our research assistants Esther Brown and Eric Njoroge for making the website easy to navigate and easy on the eye and for updating the Democracy Monitor to reflect the very latest data. We hope it will be an invaluable resource to researchers and practitioners alike. Because of the advances we have made, we will be able to bring you more content, on a wider set of countries, and we are committed that a greater proportion of these pieces written by those from, or living on, the continent. None of this will take away from what we were doing before. The “Decolonizing the Academy” reading list is still there, and we will be seeking to expand it over the next year. You can also find the blogs and analysis of @fromagehomme, and great series of pieces on important topics, such as women in politics and the fate of opposition parties. And just like before, we want to hear from you. Do you have an argument you want to get off your chest? Or a question we can help you answer? Is there a book you think we should include in our popular Book Club series? If there is, don’t be a stranger – find out how you can contribute to DiA here. We are especially interested to hear from those living in Africa. We hope you enjoy the new website as much as we have enjoyed putting it together. Like all of the best things in life, it is a work in progress. We are still transferring and categorizing old content, and commissioning new material. So if you like us now, we’re confident you will love us in a few more months. And please tell your friends and get them to like us on Facebook at and follow us on Twitter @AfricaDemocracy.